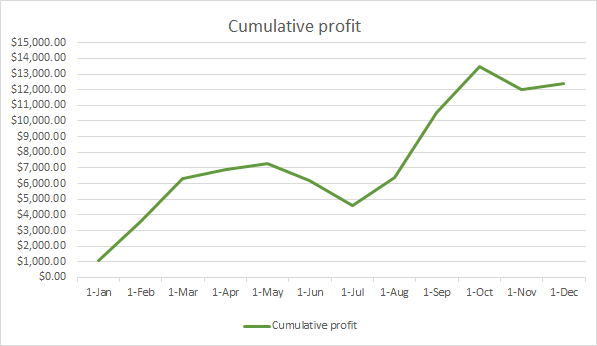 My first year being a Pro Member *GRAPHS & win rates* Before & After! I became a Pro member in Oct of 2017 and I wanted to share my progress. 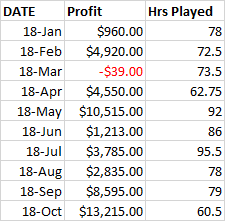 This is a sample of my live play during 2017 & 2018 mostly 1-2 Holdem, some 2-5 (once a week when it runs& when I travel) and a few low/mid stakes tournies (5 way chopped a 100K Gtd in Oct for $14.5K). 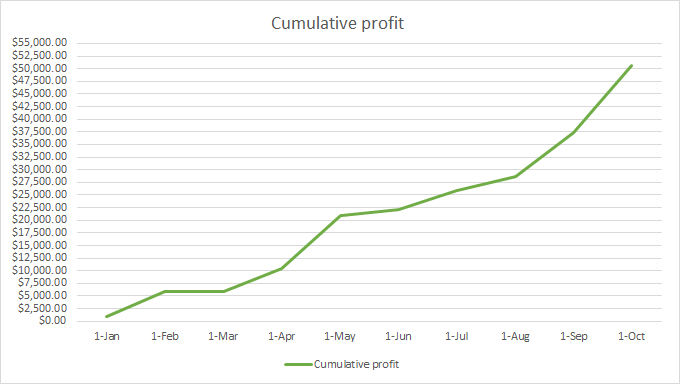 I thought i would share how the year is unfolding since I joined Pro Membership.. In what ways specifically do you feel the pro membership helped your win rate? There is an amazing amount of great content there, how do "you" sift through it to improve your game? 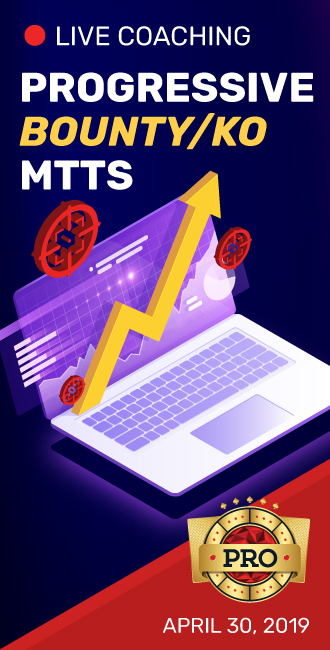 I think Core does a really good job of starting from the funadmentals and guiding you into the more advanced concepts. Core alone is worth the value for pro membership imo. I also really enjoyed Ed millers video series “The Course” I think the advice in it is top notch for current live games. Amazing stuff! Can you comment on what aspects of your game you changed to go from a solid winning player to a crusher? I play a wider range of hands and fold a lot less than I used too. My studying of ranges and board textures has allowed me to do so profitably. That combined with my understanding of what my opponents pool tendencies are I have been able to exploitively put maximum pressure on them. I have found myself double and triple barreling more; I’m not afraid to go for it if I see spots, I usually take them. With this of course comes my biggest leak at the moment, which is calling big river bets too much..
With this of course comes my biggest leak at the moment, which is calling big river bets too much..
That was my biggest (maybe still is) problem..I sure to hate to fold. In a player pool that generally under bluffs...you just gotta let it go. Also, I definitely was far too bluffy, which worked amazing for my first 1-2 hours, but then people caught on. I haven't played live in quite some time, been playing online a lot more, which has made me a much much improved player through volume and requirement of study since I was getting killed. I did play one home game and literally smashed them. It felt like their cards were turned over for me. 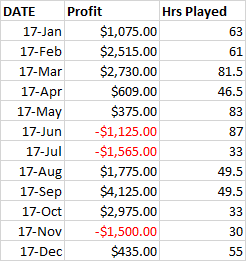 Discussion My first year being a Pro Member *GRAPHS & win rates* Before & After!